LinkedUp is the Ultimate LinkedIn Job Search Guide. Your network is one of the most valuable assets you can leverage throughout your career. In today's digital age, many first impressions begin with an online search, making it imperative that you be present, searchable and branded online. LinkedIn is a powerful tool for not only increasing your visibility online, but also managing your network. Whether you're active on LinkedIn or have yet to get started, this guide will provide you with first-hand insight and actionable advice on how to leverage the power of LinkedIn to build a strong online presence for your personal brand, establish credibility within a network of targeted professionals, find and secure your next job opportunity and achieve your career goals. 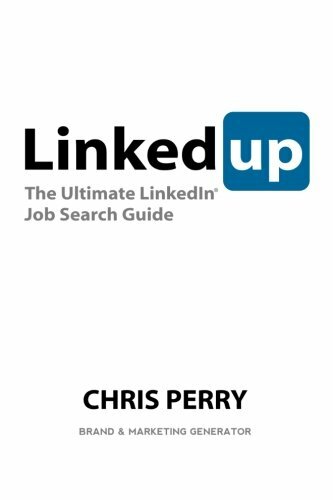 Book Disclaimer: LinkedIn is a registered trademark of LinkedIn Corporation. The author is not associated with any product or vendor mentioned in this book unless otherwise noted. LinkedIn does not endorse any of the material contained herein. Chris Perry, MBA, is a Gen Y brand and marketing generator, brand marketing manager, career search and personal branding expert, professional speaker, entrepreneur and brand consultant. Chris is the founder of Career Rocketeer, the Career Search and Personal Branding Network, MBA Highway, the MBA Job Search and Career Network, Launchpad, a Career Search Strategy Guide series, and multiple other ventures in the works. Recognized as a thought leader on a variety of job search and personal branding topics, he has been featured in publications, including Guerrilla Marketing for Job Hunters 3.0 (Wiley 2011) and media outlets, such as The Wall Street Journal, SmartMoney, ABCNews, CNNMoney, TheLadders, Monster.com and more. As a professional speaker, Chris offers career search and personal branding workshops and presentations to a variety of audiences. As a consultant, he frequently assists professionals, entrepreneurs and businesses with marketing, branding and social media.